Top-Rated Sellergemjane consistently earns high ratings from buyers thanks to fast shipping and excellent service. I accept returns within 14 days of delivery. Please contact me before returning any item. Returned item and manufacturer’s packaging must be returned in the original shipped condition. If an item is damaged in transit please email me pictures of item and original packaging. Buyer pays shipping costs for returned item, and all shipping costs are non-refundable (unless I sent the wrong item or it was damaged in transit). 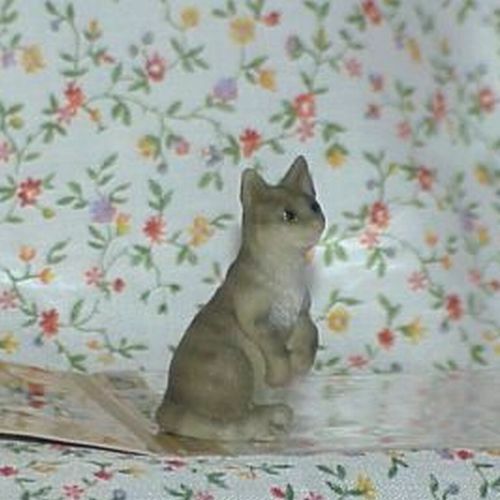 NEW 1:12 Scale NRFB miniature grey cat sitting on its haunches approx 1.5 in.tall Heidi Ott dollhouse miniature Pet Cat, Grey, Sitting Up See other pets for the miniature doll home in my listings Heidi Ott dollhouse miniature collectibles are beautiful, elegant, and well-made.